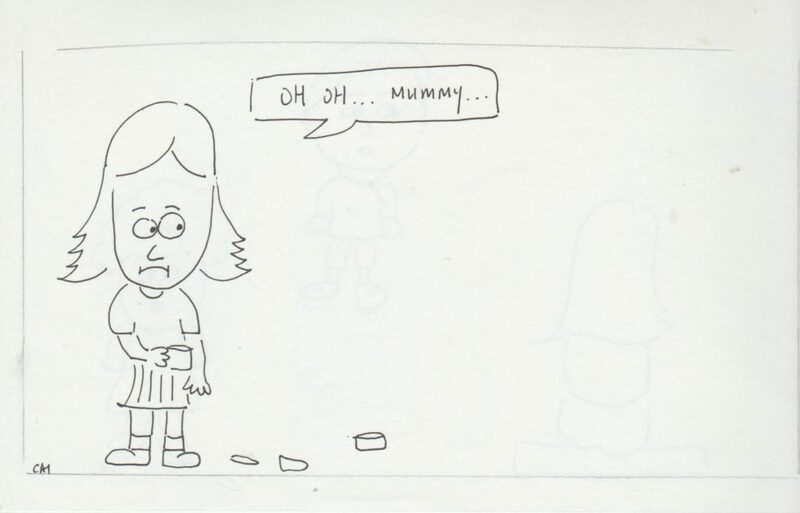 Mindful Doodles #504: Should Mother pay for her mistake? Should Mother pay for her child’s mistake? A little girl was in the supermarket. She opened the chiller’s door and took out two cups of yogurt. She dropped one and then there was only one cup of yogurt. Should her mother pay for the spoilage? Yes? No? What do you think happened? Her mother escaped punishment. Not only she didn’t pay for the 2nd cup of yogurt, she didn’t inform the staff of the supermarket to clean up the mess on the floor. What if someone slipped on the yogurt and fell on the hard floor? I didn’t stay in the supermarket long enough to know the aftermath. I paid for my grocery shopping and left. Coming back to the question – Should Mother pay for her mistake? Yes. Nobody else is responsible for that. Once, there were two cups of yogurt. One dropped and now there is only one cup.